I Think, Therefore I blog: Do our ministers really deserve a shameless 146% increase in salary? Do our ministers really deserve a shameless 146% increase in salary? Tax collector: What do you do? Common man: I run a business. Tax collector: Well, pay professional tax then! What are you doing in your business? Tax collector: Pay sales tax then! From where are you getting your goods from? Common man: From other areas, provinces, countries. Tax collector: Well then, pay central sales tax, additional sales tax, custom duty and Octroi, and advance income tax. What are you getting from selling these goods? Tax collector: You obviously have to pay income tax and value addition sales tax then. How do you distribute the profit? Common man: By way of dividend. Tax collector: You have to pay your tax on dividend then. Where are you manufacturing these goods? Common man: At a factory. Tax collector: Pay the excise duty. Do you have an office or a warehouse of a factory? Tax collector: Gosh! You also have to pay municipal, civil defence and fire tax. You obviously have staff employed as well? Common man: Yes, of course! Tax collector: Well, you will need to pay staff’s professional tax, along with registering with the labour department, Workers Welfare Fund (WWF), Employees Old-Age Benefits Institution (EOBI), Sindh Employees Social Security Institution (SESSI), and Staff Welfare Participation Fund. Do you deal in millions in your business? Tax collector: Pay turnover tax then! Tax collector: Then pay Minimum Alternate Tax (MAT). Are you withdrawing or transferring over Rs50,000 from the bank? Tax collector: You have to pay Withholding tax then! Where do you lodge your foreign customers? Common man: At a hotel. Tax collector: You have to pay the hotel service tax then. Do you travel a lot for business? Tax collector: Guess what? You have to pay tax on tickets as well. Have you taken or given any services? 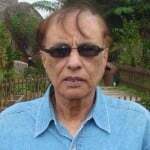 Tax collector: Pay the Sindh Service tax. By the way, how did you make so much money besides from your business? Common man: I sold some shares and some property. Tax collector: You need to pay your Capital Gain Tax (CGT). Did you purchase any property though? Tax collector: Pay Capital Value Tax (CVT). Have you bought a house recently? Common man: Yeah. It was about time. Tax collector: Well you need to pay stamp duty and registration fee, CVT and advance tax. What do you do for entertainment purposes? Where do you normally go? Common man: I don’t know, go watch a movie or relax at a resort! Tax collector: You need to pay entertainment tax for that. What mode of travel do you use when you travel for your business meetings or vacations? Common man: By air of course! Tax collector: Pay your advance tax then! Do your kids study and attend private schools? Tax collector: You also need to pay your advance tax of education. What mode of technological communication do you normally prefer? Common man: The usual, either my cell phone or through the internet. Tax collector: So you pay sales tax and withholding tax for that. You obviously use electricity at home as well, right? Tax collector: Pay your sales tax. Do you have to pay any Additional tax? Tax collector: Well you need to pay Education Cess along with surcharge on all government taxes. Have you ever been delayed paying any tax? Tax collector: Pay your additional tax along with penalty. Do you want Pakistan to be a better place for living? Common man: Of course, yes! Tax collector: Then pay water tax, road tax, sewerage tax, along with other infrastructure related taxes. Common man: Can I die now? Tax collector: Wait, we are about to launch the funeral tax! A couple of decades from now, people will wonder how we elected such shameless men to rule over us. Practically every city, town and village in the country is infested with criminals who go around freely robbing and killing citizens, our trains are looted, it’s not safe to go out after sunset, yet instead of solving our problems, our leaders proudly increase their own salaries by a whopping 146%. The minister in charge of telling such good news to us, Marium Aurangzeb, said with a straight face that it’s not possible for lawmakers in the country to meet their expenses at their present salaries of Rs60,996 per month. So how do our daily wage labourers earning about Rs500 per day manage to survive? What about those who work in the fields, shops and factories, most of whom being paid even less than the minimum wage of Rs13,000 per month? Or perhaps the honourable minister thinks they don’t need three square meals a day and don’t have any children? Let’s take a look at what our parliamentarians will get now. 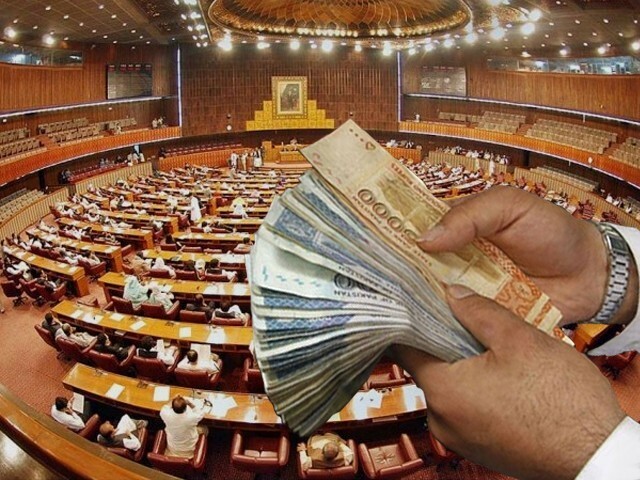 Each member of the National Assembly will be given Rs150,000 (US$1,400) plus perks and allowances worth much more. Ignoring the allowances for the moment, compare this with what parliamentarians in Indiaare given – INR52,000 (corresponding to our Rs78,000 or US$760). So how are they able to get along with almost half of what our elected leaders are paid? While we are on the subject, it’s a mystery why we have such a large number of National Assembly and Senate members. India, with a population of 1.2 billion, has only 542 Lok Sabha members and 250 senators, while we (with only 16% of India’s population), have 342 National Assembly members and 100 senators. Why not cut both houses to size and use the money saved for providing relief to our toiling masses? Apparently the worthy minister thinks all of us are morons when she says that most parliamentarians are from the middle class. When you look at the cars parked in the National Assembly compound, it doesn’t seem that they are from the middle class at all. 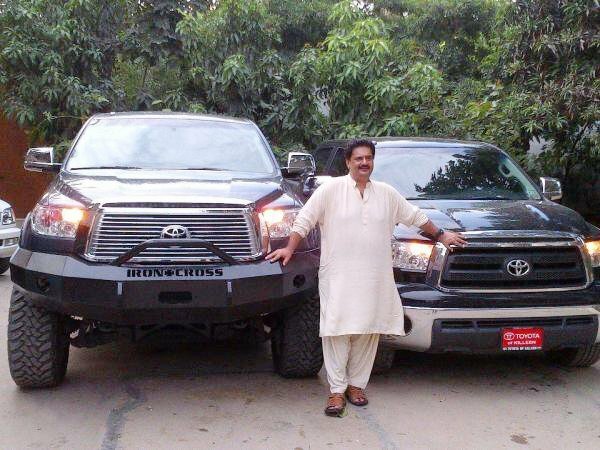 In fact, the mere sight of those vehicles would make even a US Congressman turn green with envy. According to her, private sector executives earn much more than her colleagues. True, but may I remind her that (apart from a few technocrats), our assembly members would find it hard to get a job in the private sector. Most of them would earn less than Rs20,000 a month, assuming that they found someone to hire them. Also, I am at a loss to understand why they should be paid anything at all. Most of them are very rich feudal lords who don’t need any more money. Their exalted position ensures that they have great influence in their constituencies, and they can earn a lot from commissions on civil contracts awarded to their favourites. Right now, they are seriously thinking of giving a tax amnesty to property sector players and crooks, perhaps because they too stand to benefit from such measures. I’ve noticed that on most days, there are very few people sitting in the assembly. Nawaz Sharif and Imran Khan are both conspicuous by their absence, perhaps it’s because they have such flagrant contempt for democracy. I once heard that only seven per cent of our parliamentarians regularly attend assembly sessions. Instead of paying them monthly salaries, why not pay them for only those days on which they attend? This would at least ensure that they are there when matters of utmost importance are decided. By wasting the nation’s taxes so blatantly, our lawmakers are ensuring that our economy will collapse soon, and Pakistan will become a failed state.